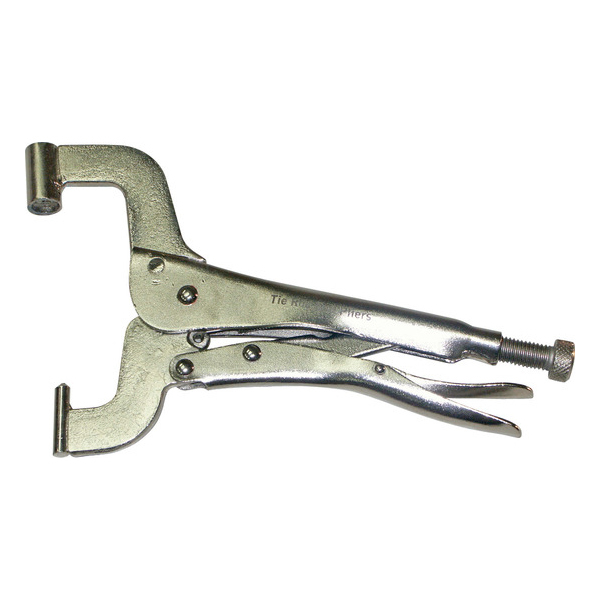 71465 TIE ROD END PLIERS Tough alloy steel C-clamp locking pliers provide a quick temporary steering repair for vehicles with outer tie rod end ball and socket separation. 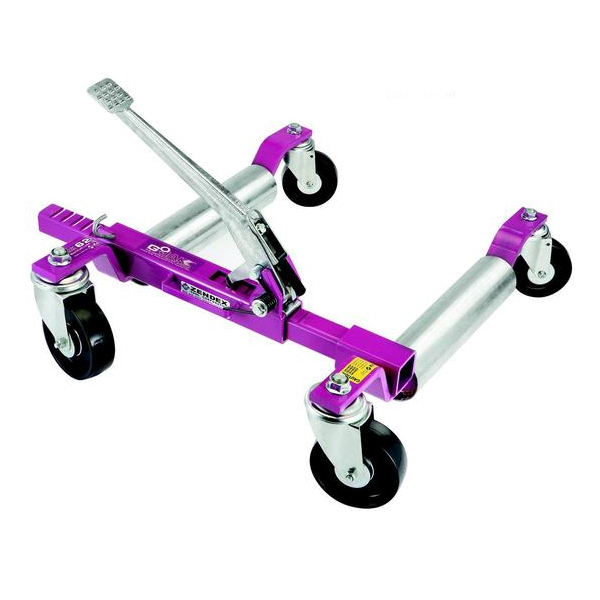 Saves two driver’s time by temporarily fixing wheel alignment for easy loading and unloading. Allows mechanics to easily steer vehicle to repair bay. Standard GoJaks® are right handed. When you insert the jack around the tire, the pedal is mounted on the left and rises to the right. Left-handed units are the opposite. This reverse position may be important when the vehicle is locked, keys are not available and the front wheels are turned to an extreme left or right position. In these circumstances, use of the foot pedal may prove more difficult. 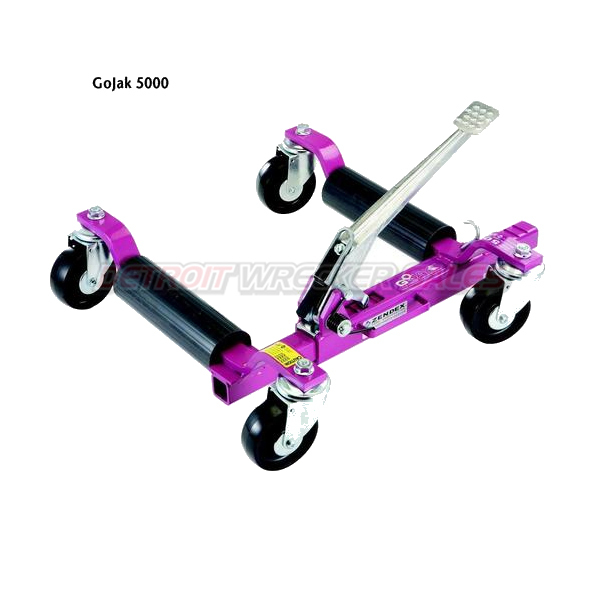 With left and right hand GoJaks®, you can position the appropriate unit so the pedal is more accessible. 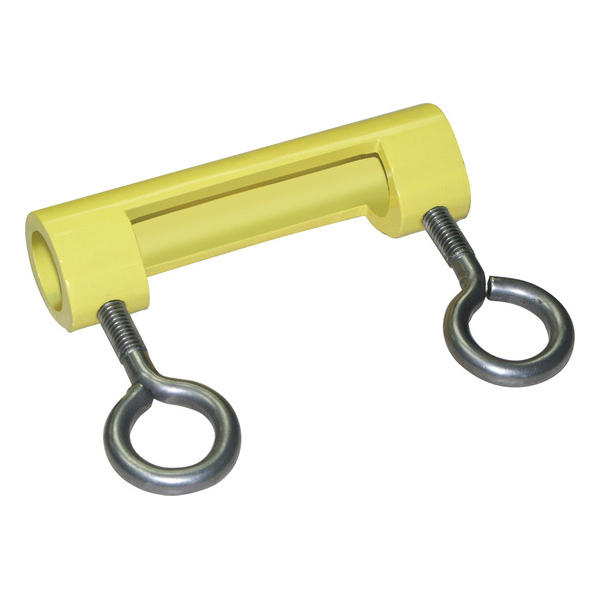 For normal shop use, left hand units are not necessary. 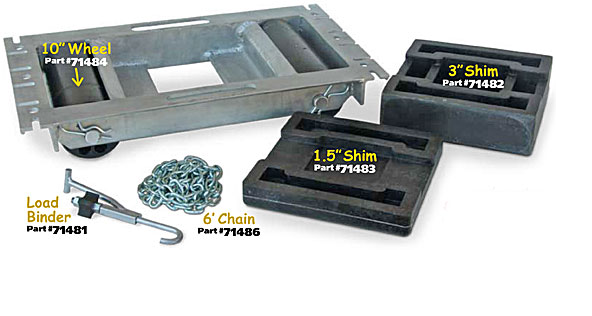 Standard right hand units are shipped unless you specify a left hand unit.